Ellis Patents Colossus cable cleats are manufactured from 316L stainless steel with LSF (Low Smoke & Fume) polymer. 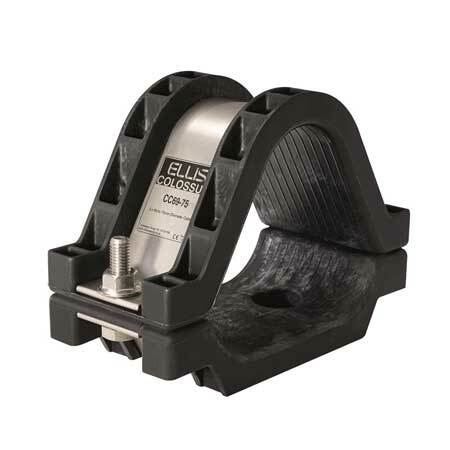 Ellis Colossus cable cleats have been short circuit tested to a level of 104kA peak to provide medium-high voltage cable constraint and support in the utility, transmission and distribution markets. Colossus trefoil cable cleats are designed to retain single core LV-HV power cables in formation during short-circuit situations. 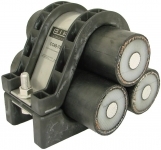 Ellis Patents Colossus cable cleats suit 24-170mm outside cable diameters. 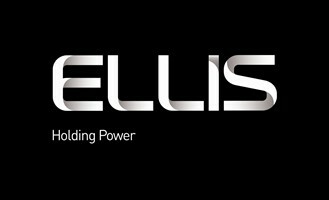 Ellis Patents, the world’s leading cable cleat manufacturer, launched the Colossus cable cleat at CIRED 2013 conference and exhibition in Stockholm, Sweden to wide acclaim. Ellis Patents then released the Colossus cable cleat range at Offshore Europe 2013 accompanied by offshore cable cleats including Emperor, Vulcan and Phoenix. Colossus stainless steel cable cleats are manufactured to withstand seawater and salt spray corrosion and retain low and high voltage (LV-HV) offshore shipwiring and marine power cables to cable tray, ladder and containment. Ellis Patents Colossus cleats have been tested in accordance with the International Standard of "Cable Cleats for Electrical Installations" IEC 61914. IEC61914:2009 provides a method for cable cleats to be short circuit tested so that results for different types of cleats can be compared. The cable cleat manufacturer should determine the fault level at which they wish to test their cable cleats. However, the cable must be unarmoured single core 600V/1000V stranded copper conductor cable and the testing assembly must be in accordance with the requirements of the standard. Ellis Patents are a leading voice in the campaign to have cable cleats reclassified as short-circuit protection devices. 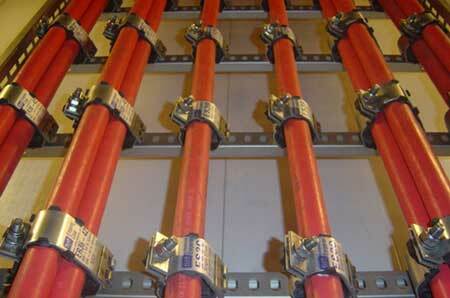 A move that would mean cable cleats would be placed on a parallel with fuses and circuit breakers. "This reclassification makes absolute sense. In the event of a cable fault, the forces between cables reach their peak in the first quarter cycle, which is the point that cable cleats earn their crust. In contrast, circuit breakers typically interrupt the fault after 3 or even 5 cycles by which time, if the cable cleats are underspecified, the cables will no longer be secure, but will be putting vital electrical installations and lives at unnecessary risk," says Paul Nolan UK Sales Manager, EP. Ellis Patents cable cleats are specified for cable clamping,cleating and support in the utilities, power, construction, rail, mining, offshore, oil, gas and petrochemical industries.